Of my dog pack, Jake is the alpha. He has lived with us the longest and has the keenest sense of human emotions. Jake, who has a doctorate in animal behavior. Jake has been Hope’s teacher. When we first got Hope, Jake went with us. In the two-hour car ride home Jake was a calming presence for her. At home, Jake showed her about going out the back door to the yard. He taught her it was OK to hop up on the ottoman to look out the window. He modeled how to go for a walk. Even though Hope was criminally deprived in the puppy mill, her intelligence is high. She has learned many things about living in a home as a pet. She still has trust issues, and, if you are not careful, will chew inappropriate things, like a cheap rug this morning. Jake has earned his tenure as a full professor in this household. And he doesn’t plan to retire any time soon. 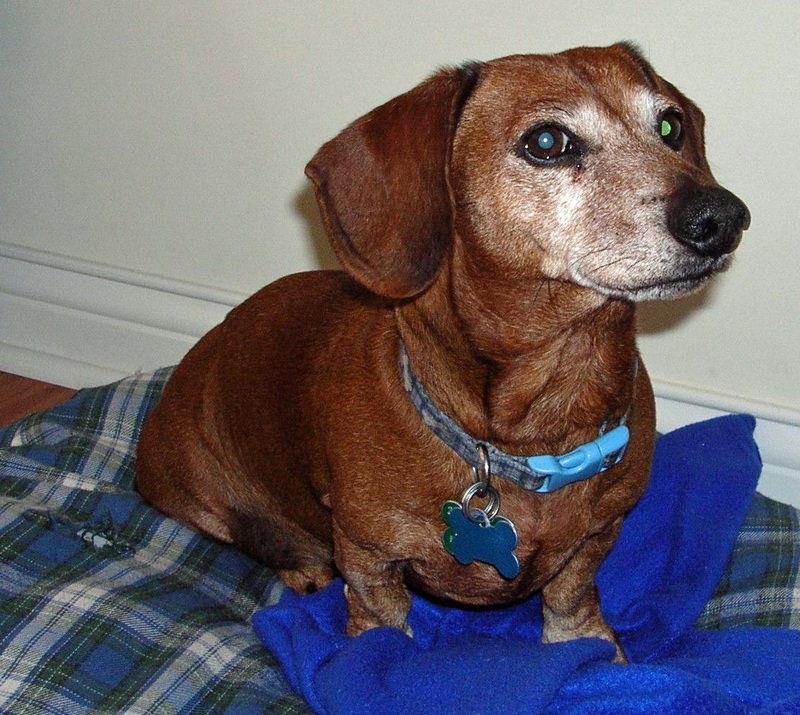 This entry was posted in Dachshunds, Dog Behavior, Puppy Mills, Schnauzers and tagged Dog Behavior. Bookmark the permalink.